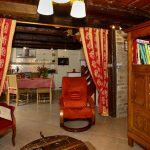 Self-catering Gites: You’ll be there under the spell of the country house features and its usual equipment : a garden for your children, a warm interior, a fireplace…etc. We will guide you in your choice of visits of the main tourist spots and give you some advice about choosing the right local events and restaurants. 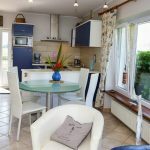 The Gites are ranked by the “SAS GITES DE FRANCE BRETAGNE”, according to criteria approved by the Gites de France National Federation. In any case, the quality of the accommodations is guaranteed, you are offered a wide range of capacities and prices. The distinction from 1 to 5 ears of corn ( “épis” in French) is made after examination of the outdoor environment (dimension, quality of the landscaped area, architectural features), interior and domestic electrical appliances, conveniences, harmony and decoration. Enjoy our offered rooms and feel perfectly at home. 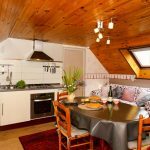 How to have more information about Bed and Breakfast accommodation: If it is the first time you come to Brittany and you want to have a fair idea of the whole region by travelling. If you are used to travelling as a couple, and you don’t care about the changing of holiday place regularly. If you wish to get directly in touch with the diverse Breton population, professionally, culturally and geographically speaking. If you appreciate staying with other holidaymakers, either at the breakfast table or the diner “table d’hôtes”. 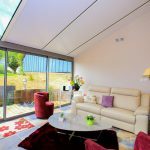 This “Chambres d’Hôtes” formula of Gîtes de France, a kind of French equivalent of the British Bed and Breakfast, meets all these expectations.